These are among the charitable works of the Ladies of Charity. The Association, in response to prayer and mutual sharing, seeks to be open to the call of Christ through the Church. Throughout our 400 year history, the LOC continues to advocate to change the systems that hold those we serve in the various faces of poverty. Today there are 6,400 members in the U.S. and 200,000 members worldwide in 54 countries. Click here to see our 2014 Annual Report. 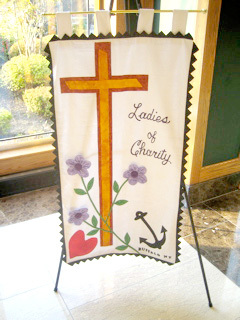 The joy of being associated with women dedicated to the mission of Christ in the family of St. Vincent de Paul and St. Louise de Marillac may be yours as a Lady of Charity.